It took a behind-the-scenes village to transform Julianne Moore into Sarah Palin for the HBO movie "Game Change," and Moore thanked all of them as she took the Emmys stage Sunday night. The actress won the Emmy for outstanding lead actress in a miniseries or movie, and she told the audience that she felt "so validated since Sarah Palin gave me a big thumbs down." She also shared her gratitude for her dialect coach, "the amazing cast" and director Jay Roach, "who held my hand and guided me through." Roach then went on to pick up the Emmy for outstanding directing of a miniseries or movie, and congratulated "Game Change" script writer Danny Strong, who won the Emmy for outstanding writing of a miniseries or movie. Those who aren't already fans of Showtime's "Homeland" (returning on September 30) just might be convinced to tune in after the Emmys. 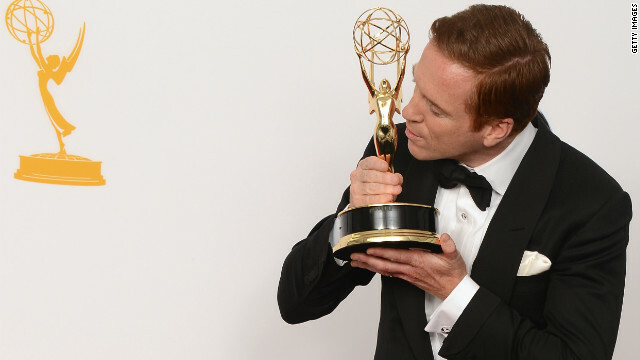 The series picked up the Emmy for drama writing, edging out episodes from critical favorites "Downton Abbey" and "Mad Men," and stars Damian Lewis and Claire Danes also picked up the outstanding lead actor and actress in a drama Emmys, respectively. Danes gave a shout-out to the writers as well as her co-stars - “Mandy Patkinkin - holla!” being a memorable line - while Lewis was a charmer. "I’m one of those pesky Brits," Lewis began. "I don’t believe in judging art … but I thought I’d show up just in case. Turned out alright." If you're not already into "Homeland," did the Emmy wins make you want to tune in (or at least DVR it)? 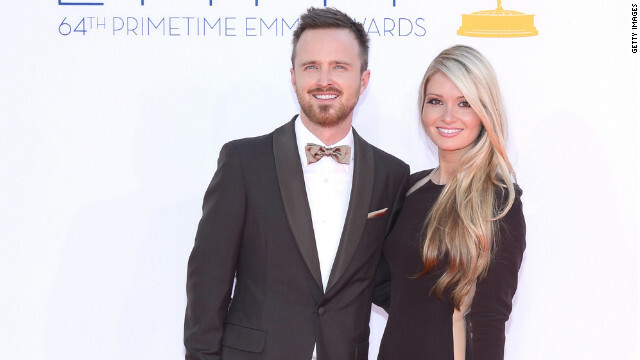 Aaron Paul's Emmys speech: The most surprised of the night? The tears were visible as "Breaking Bad's" Aaron Paul took the stage to claim the Emmy award for outstanding supporting actor in a drama. "Oh my God," he started, trying to compose himself. "I truly didn’t even attempt to prepare a speech - I can’t believe I’m standing on this stage." After Louis C.K. picked up an Emmy for outstanding writing for the "Louie" episode "Pregnant," he was up again for Emmys in the outstanding directing of a comedy series category as well as the outstanding lead actor in a comedy series category. Unfortunately for C.K. 's fans, he lost out on both - the comedy directing honor was handed to "Modern Family's" Steve Levitan, bringing the ABC show's tally to three awards thus far, thanks to Eric Stonestreet's Emmy and Julie Bowen's supporting actress in a comedy win). 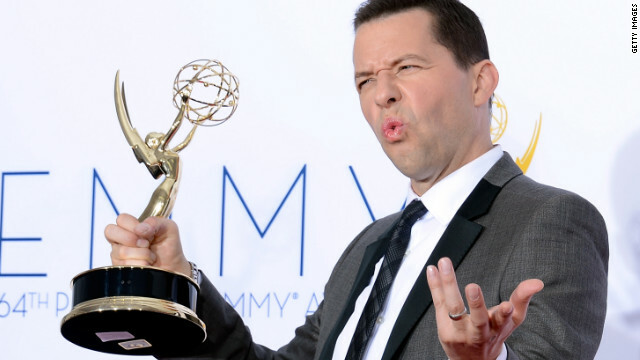 The outstanding lead actor in a comedy Emmy, meanwhile, went to "Two and a Half Men's" Jon Cryer, who was visibly stunned to have beaten "House of Lies' " Don Cheadle, "30 Rock's" Alec Baldwin, "Curb Your Enthusiasm's" Larry David, "The Big Bang Theory's" Jim Parsons and "Louie's" Louis C.K. Jimmy Kimmel said he had plans to throw in some genuinely weird stuff, and the opening monologue definitely bordered on strange. 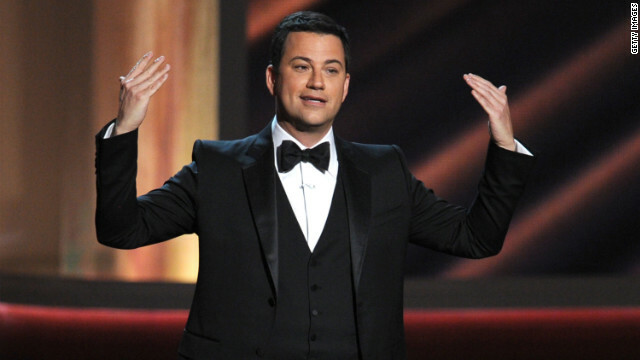 Kimmel opened the 64th Primetime Emmys with a skit that involved him crying about a bad botox job in the women's bathroom as actresses like Mindy Kaling, Christina Hendricks, Zooey Deschanel, Kathy Bates and Lena Dunham - in her birthday suit, eating birthday cake - punched him back into shape. We didn't quite get it, but we did laugh a few times.